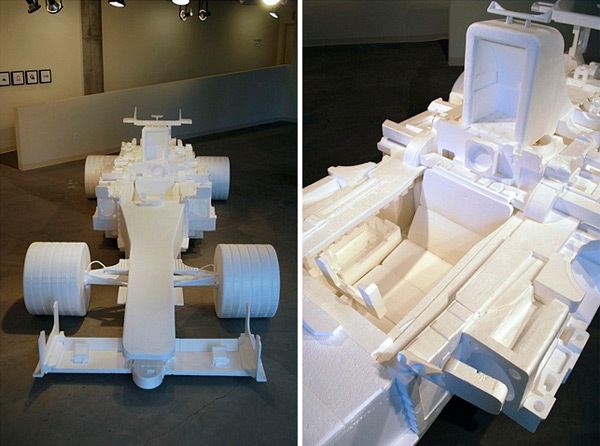 No one recycles styrofoam the way Michael Salter does. 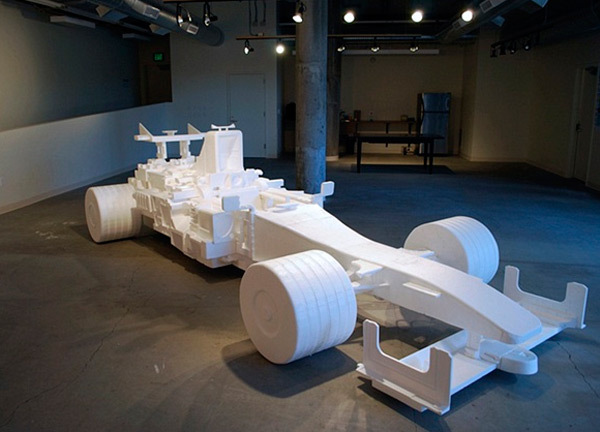 And i know that any time i get an email from him, there is probably something amazing coming in… and this time it was truly epic! 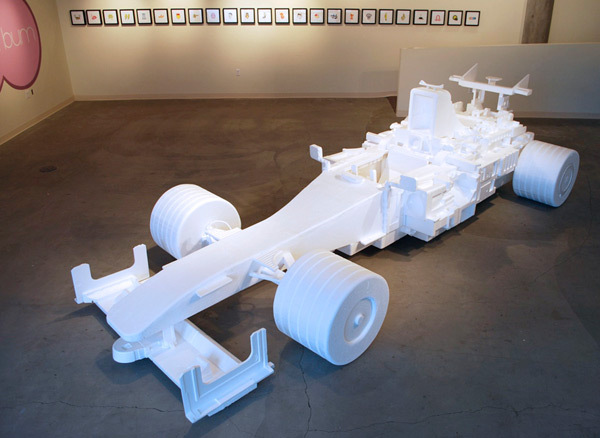 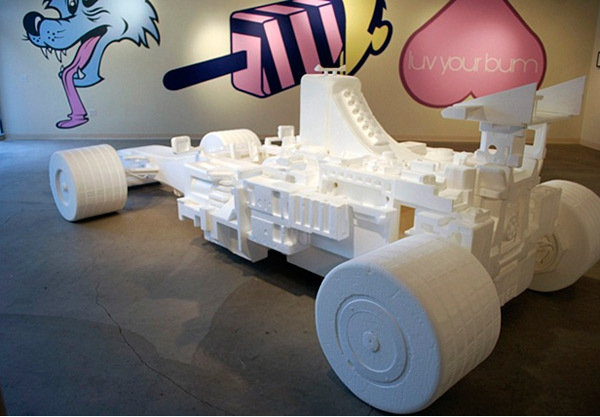 He has created a life size Formula 1 race car out of styrofoam!!! 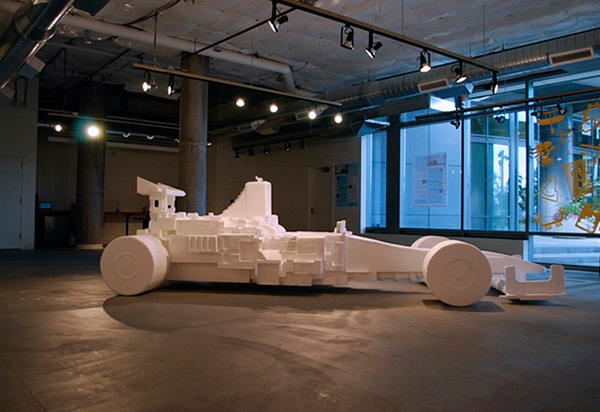 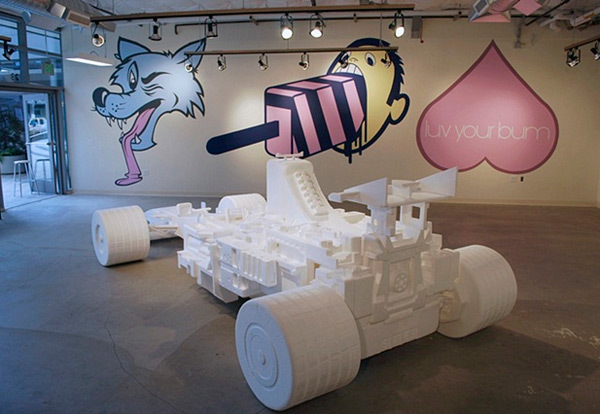 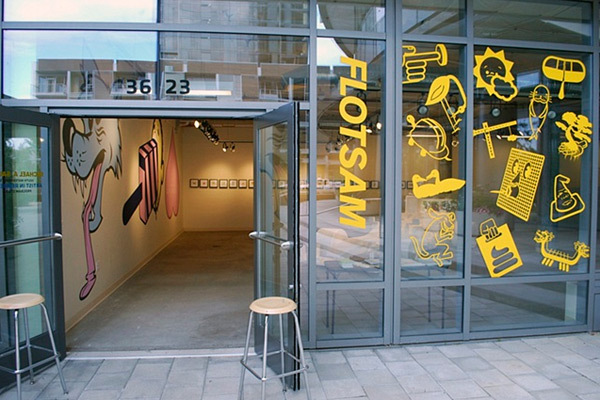 Take a look at his latest show at the Portland John Ross Plaza Studio… “a full scale replica of a Formula One race car made from scrap styrofoam pieces, 3 pretty big wall paintings, and 24 framed digital drawings.” Wow. 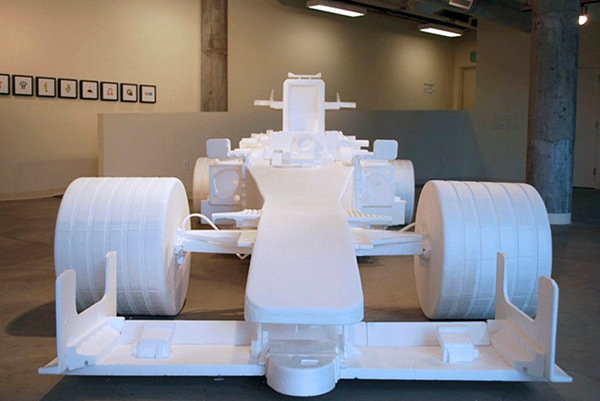 Lots of pics on the next page ~ check it out from all angles!